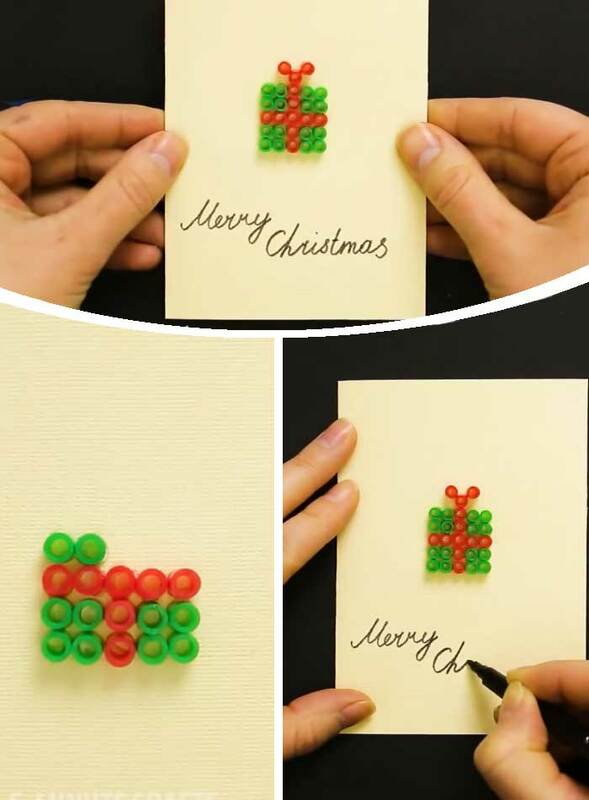 Be extra thoughtful this year and make your own greetings. 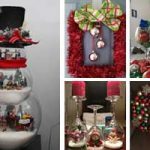 These DIY Christmas Card Ideas are great to make with the kids and be given to everyone from grandparents to teachers and even neighbors. 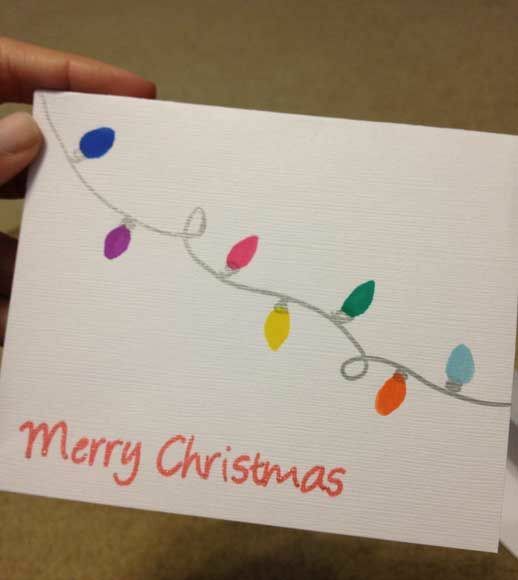 This is a really simple and cute card to make. 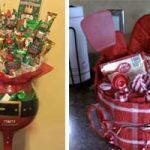 If you have a friend who absolutely cannot live without their Starbucks or their soda – then this is the perfect card to make them. 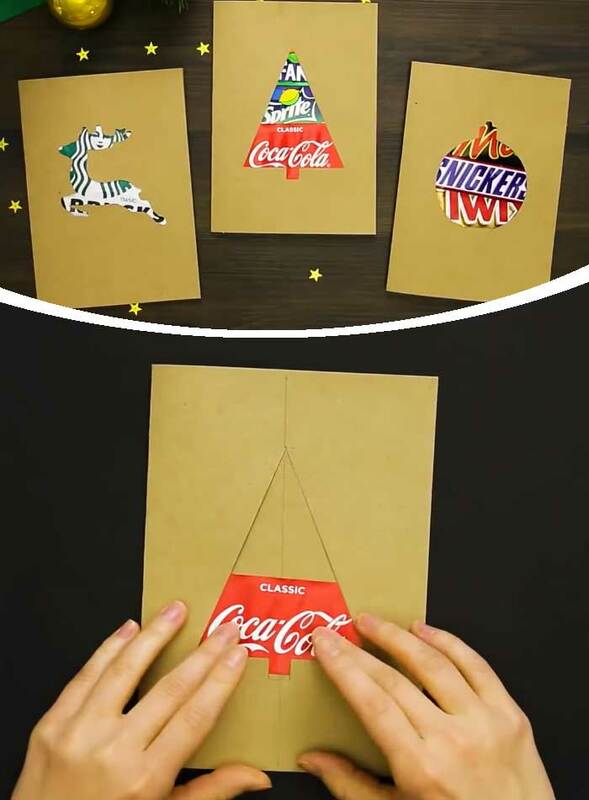 Cut out a tree shape on card stock and then stick labels from their favorite soda or treat to fill the shape from underneath. 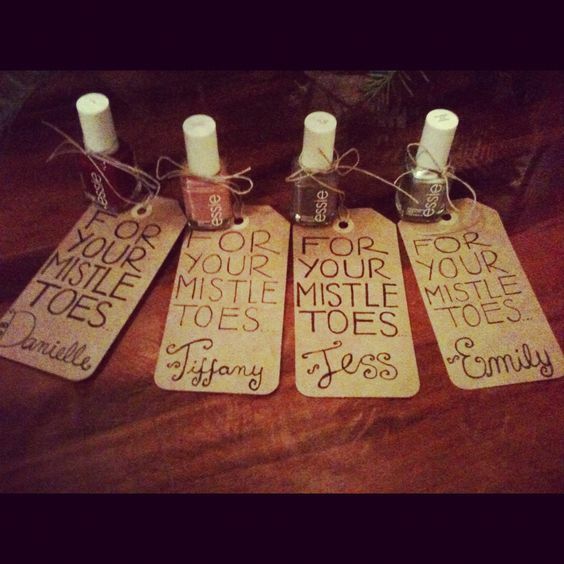 Stick some white paper over this to cover the labels and now you can write your message. 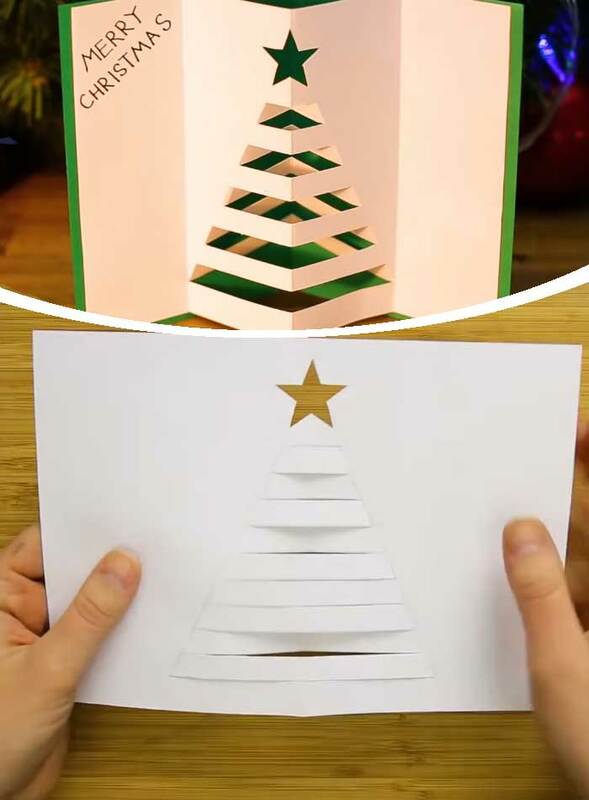 For a pop out tree – draw a tree shape on paper and divide into lines. Cut out every other line and this will fold out nicely to make a 3D tree. 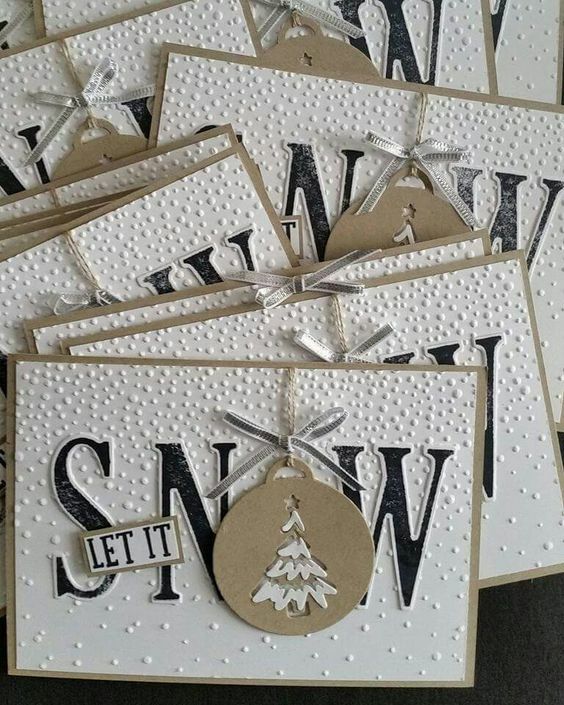 If you need to make a quick gift card – paint a tree shape on card stock using pva and then sprinkle with glitter. With some green card stock and a wooden stick , you can make his designer looking card. 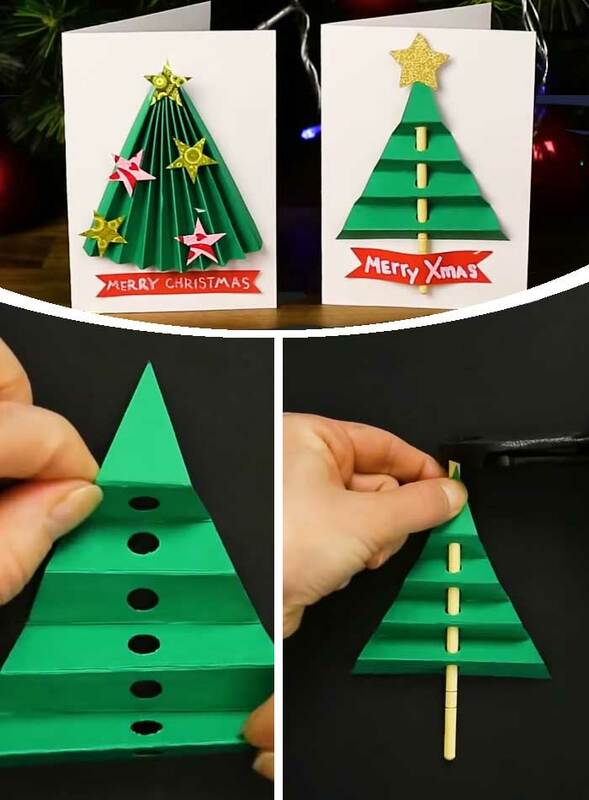 Cut out a tree shape on green card and begin to fold it accordion style. Punch a hole through the center which will then weave the stick in and out of. 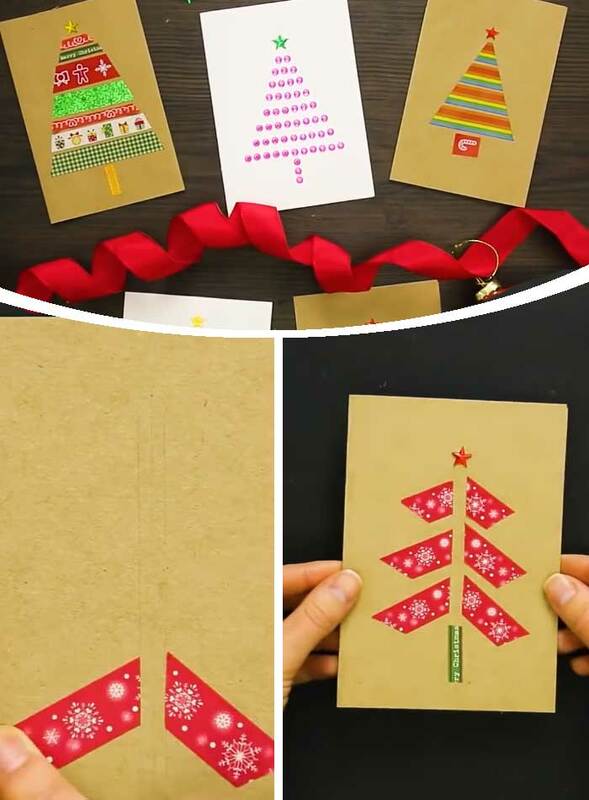 Stick this tree onto white card and add embellishments such as festive stickers. 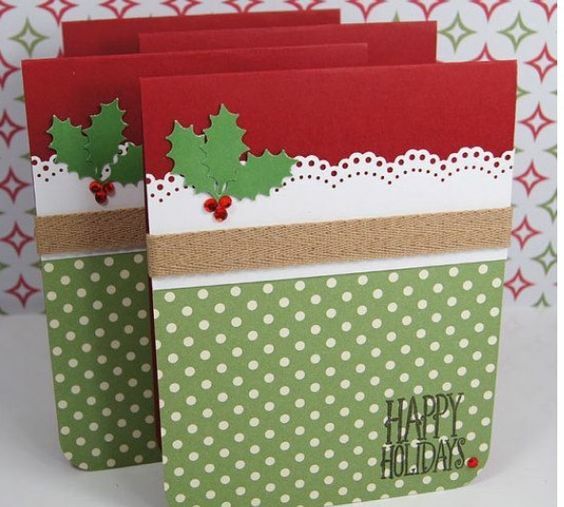 Patterned tape is a very quick and effective way to decorate any card. 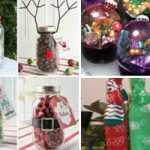 Cut the tape into several lengths and use to make the branches of your tree. 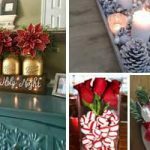 You can then add other items such as a jeweled star for example. 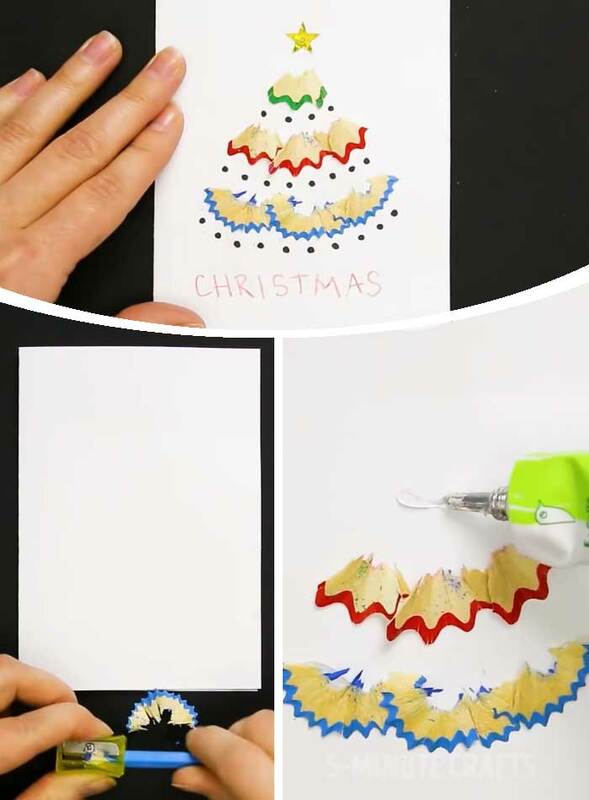 Get creative with pencil shavings and turn them into a tree for a very modern looking card. 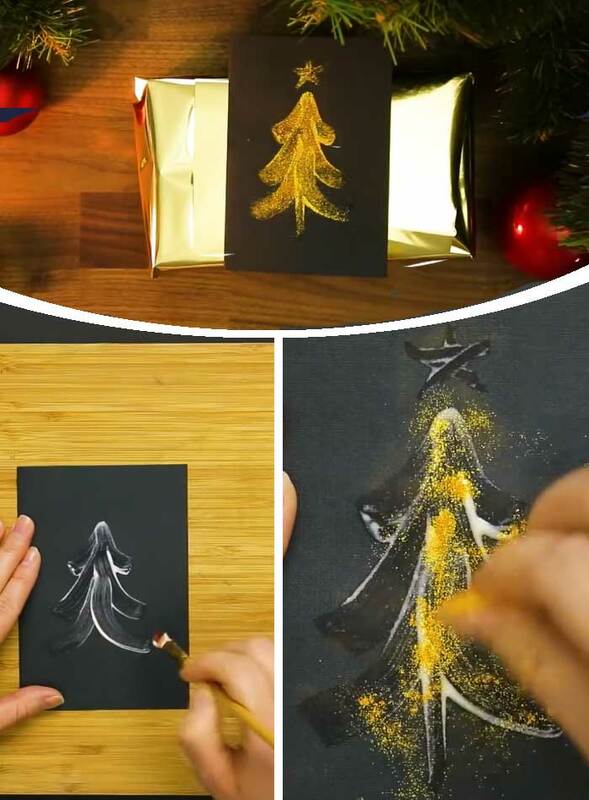 Glue the shavings on to form a tree and dot in between to highlight the shape. 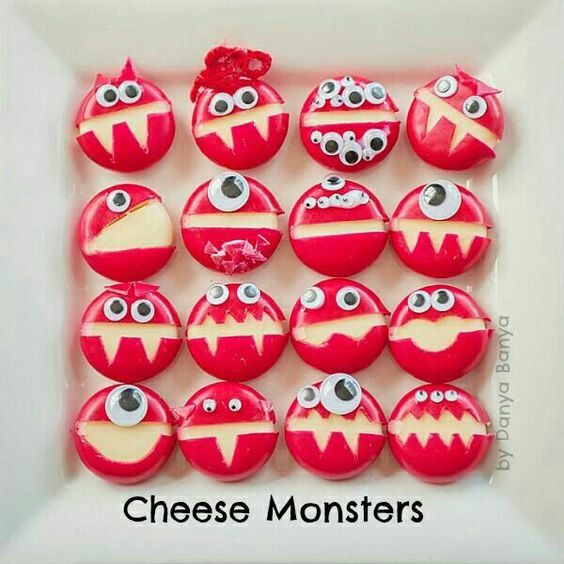 This would be a cute card to give teachers.